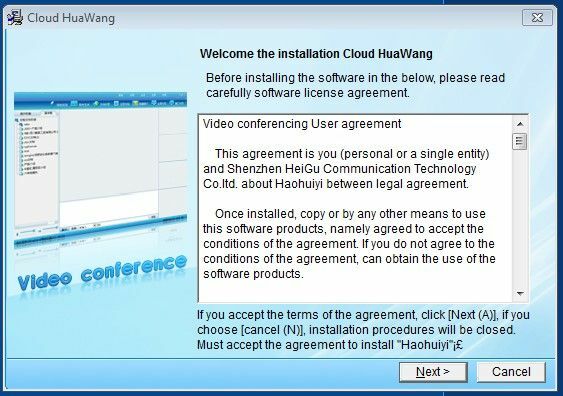 For our students in China, all live courses are taught using the Video Conferencing software called Good Meeting (好会议). Go to the download page and download the latest version of the software. Software Download Page (Link opens in a new window) or click this link and the download should happen automatically. Once you are at the download page look for the pink button as pictured below. 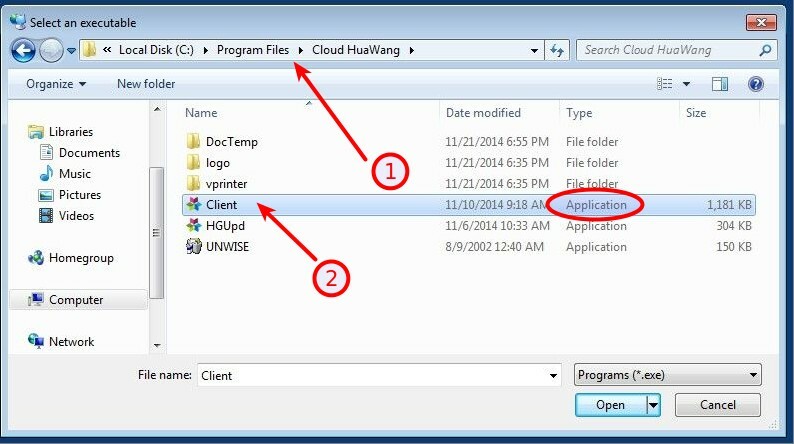 When the download is complete click the exe file (HuaWang2016En) and begin the installation process. Double click on the exe file you just downloaded. A) Read and agree to the User Agreement then click “next”. B) Select your Destination Directory (we recommend to keep your default) click “next” again. 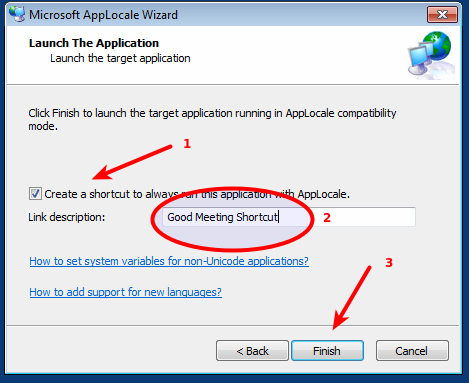 C) Finish and Launch Good Meeting (Haohuiyi) this will also create a shortcut on your desktop. Apply Speak: Click to turn on or control your microphone. Apply Present: Click to become a presenter and activate your microphone. You will notice a yellow pencil and microphone have appeared next to your name, this indicates that you are now a presenter, your microphone is turned on, and your students can hear you. Share Documents: Click this button to upload any documents that you will need during your class. Please wait for the document to upload fully. 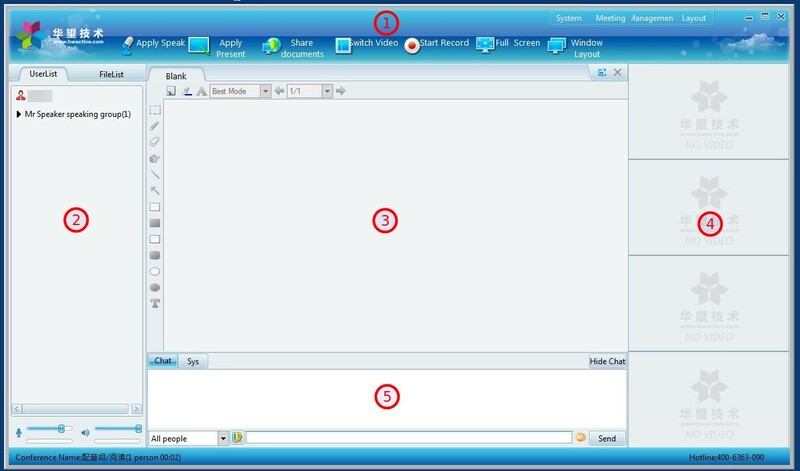 Switch Video: Click this button to begin your video presentation or to begin a presentation using a document that you just uploaded. 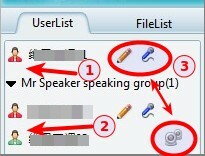 Start Record: Click this button to record your presentation. 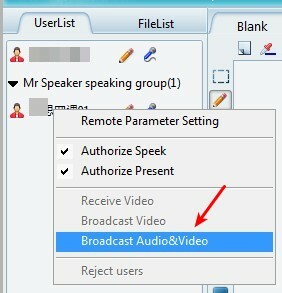 Please note live recording will impact your performance, we ask that you not use this feature. If you wish to have a copy of the course your moderator can record it on our side, and post the video for you to download after your class is finished. Window Layout: Chose from various pre-set room layouts in order to view cameras from multiple students. 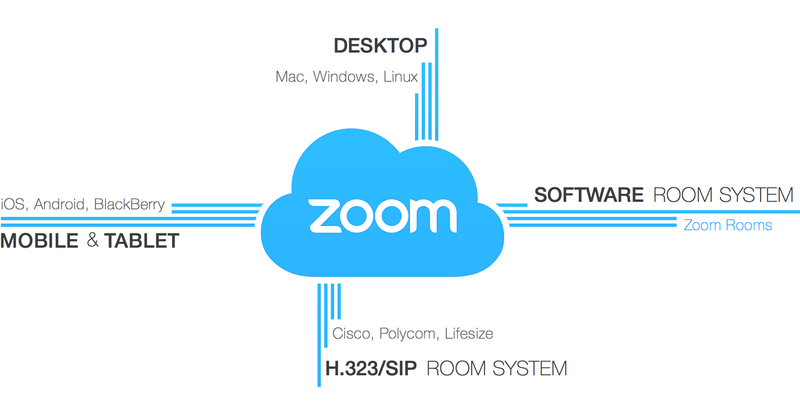 You can configure up to 16 participants and one Whiteboard / Presentation area. Your typical class will be from 3-4 students. Pull Down Menu: Various pull down menus that contain other options. In the left hand section (section #2 of the screen capture above) you will find 2 tabs labeled “User List” and “File List”. Under the User List tab all participants including all presenters will be listed. Under the File List tab all the files that you or your moderator have uploaded to the conference room will be listed. 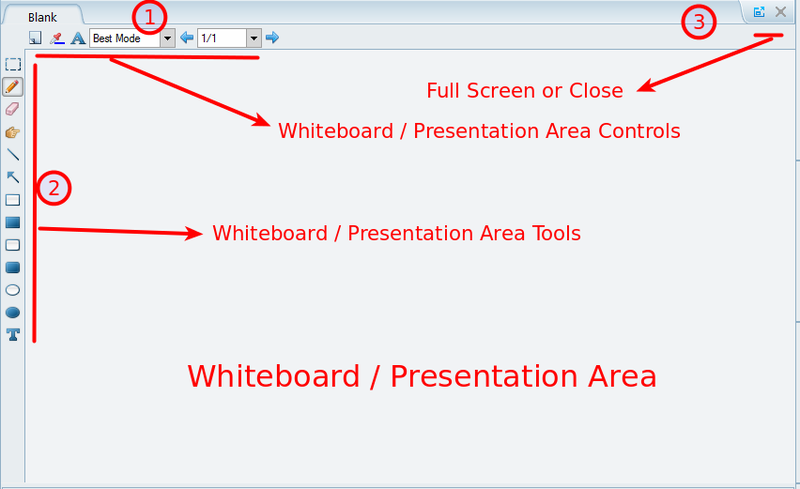 To activiate or use a file during your class simply double click on the file name and it will appear in the whiteboard / Presentation Area. Sample of User List Tab showing a Presenter (Red) with screen control, and microphone on and a Student (Green) with a camera. Right click on the Presenters name to begin broadcasting of Audio & Video. Open a new Whiteboard or Presentation Area. The new Whiteboard or Presentation Area will open in a new tab along the top of the Whiteboard / Presentation Area. If you plan to have multiple books or presentations open you can open each in its own tab prior to your class. 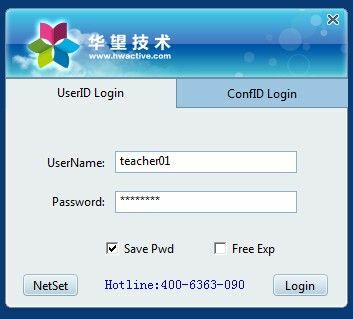 Now that you have installed the software you can login. 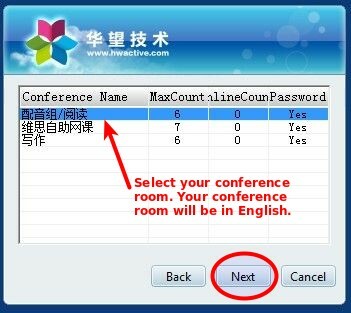 We will provide you with your login name, password, and conference room number / name. 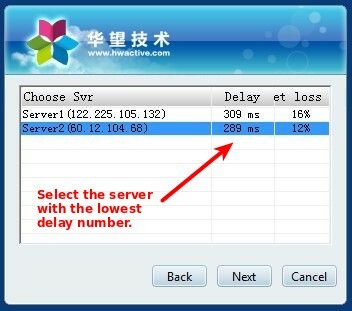 C) Select the Server with the lowest delay number and click “Next” Good Meeting will then take you to the Conference Room and you will be ready to set up your room. 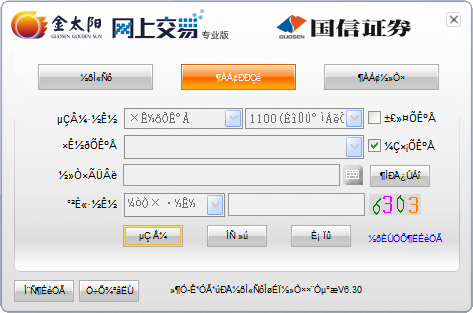 Some applications that were developed in a country whose primarily language is not English will not display properly on English language systems. Therefore, they have not been optimized for use on PC systems that have their locale set as “English”. The technical term for this is running a non-Unicode program or application in a Unicode system. 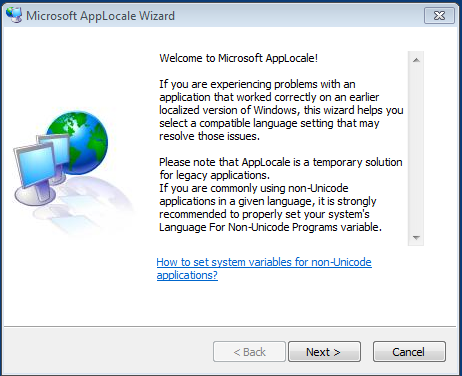 The best work around is to install the free AppLocale utility from Microsoft. 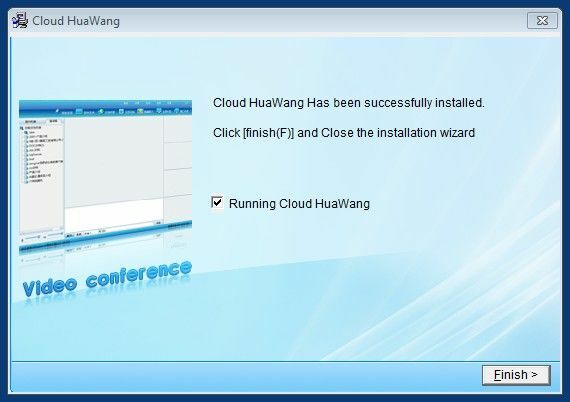 Please note, this application must be installed as an Administrator (The installer must be run with Administrator privileges) these instructions were written for Windows 7 and require you to use the Command Line interface of Windows. 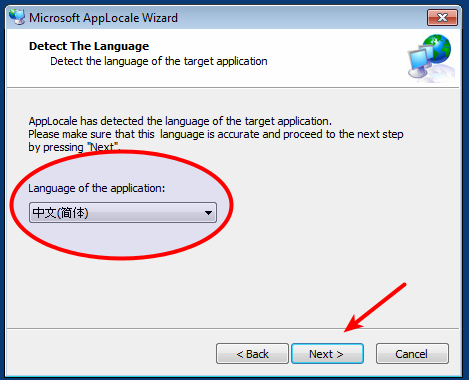 Another option is to change the Locale of your Windows PC you can always change it back to English if your other programs begin to act strangely. Once you have downloaded AppLocale DO NOT INSTALL IT! you need to install it from the comand line (cmd) in Windows. This will launch a terminal. 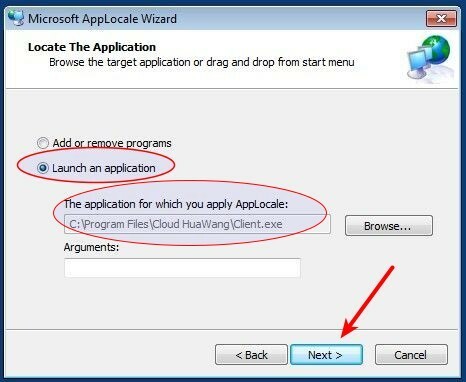 You will need to change to the directory where you downloaded AppLocale. 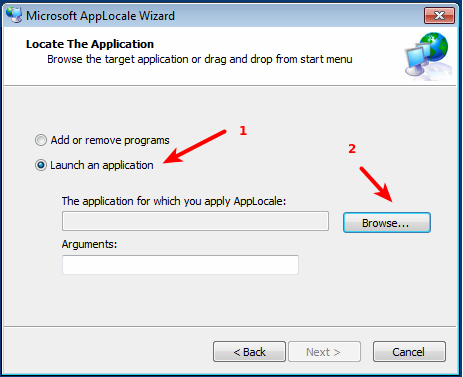 Click the Start Button and Type “AppLocale”, Then right click the icon, click “Properties” then select the “Compatibility” tab, then select “Run this program as an administrator”, then select “OK” this will launch the AppLocale wizard. 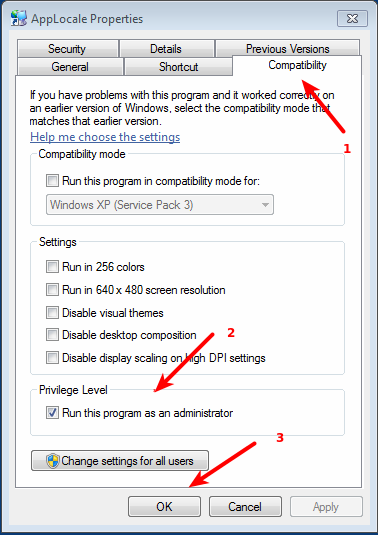 A) Go the user “Settings” section located on the top right of the page. 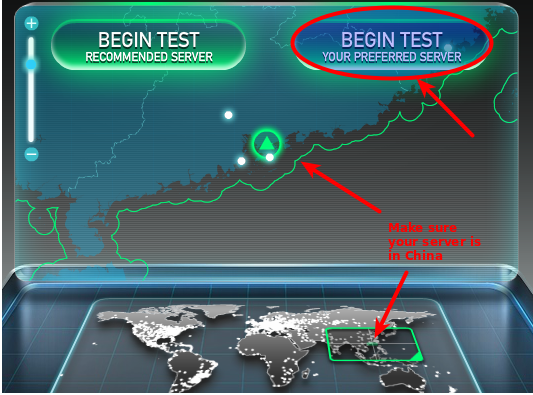 B) Go to the “Global Settings” section, select a preferred server in “Shenzhen China”, and then click “Save”. C) On the top of the page select “Take a Speed Test” this will take you back to the main page. I have a Macintosh can I use Good Meeting? Instructors the use Good Meeting and also have a Macintosh PC the following Virtual machines my work: Apple Boot Camp, or a Virtual environment such as Parallels Desktop for Mac, VMware Fusion, or VirtualBox. Please note we do not offer support on how to use or set up Boot Camp or Virtual environments. VirtualBox / User Manual Free!